ENJOY SWEEPING RIVERFRONT VIEWS throughout this home! The elegantly updated MASTER SUITE boasts delightful fiber optic appointments including a night sky ceiling with 200 twinkling STARS! 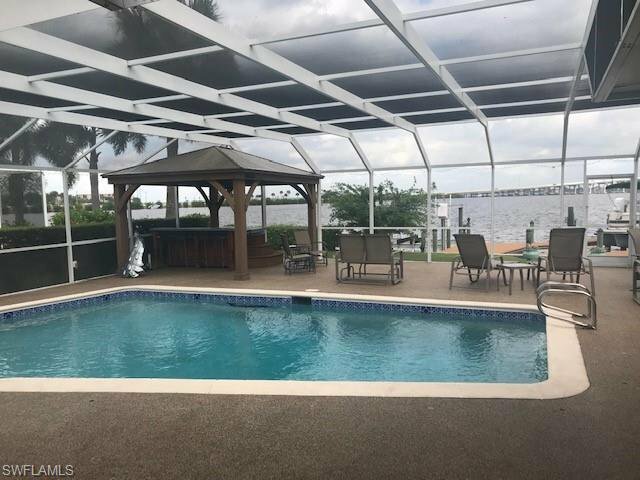 It also has QUADRUPLE GLASS PANELS WITH SLIDING DOORS so that you can watch the moon rise over the Caloosahatchee River. The superbly tiled, MULTI- HEADED master shower offers more river views. 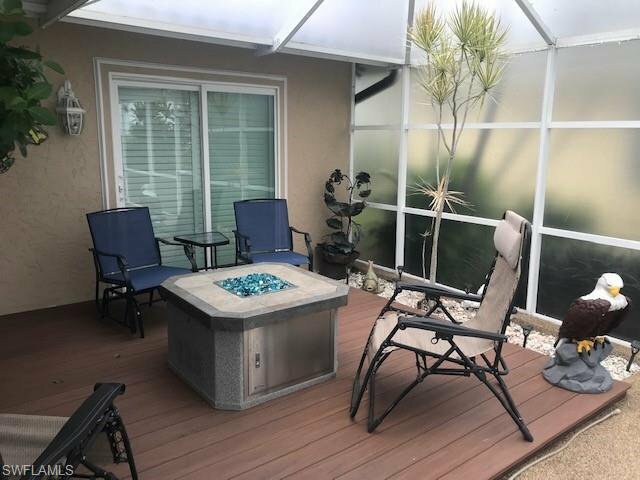 Invite friends & family to join you for a front row seat to Cape Coral's 4th of July Fire Works on the EXTRA LARGE LANAI with also has an OVER-SIZED. DEEP POOL. Enjoy DOLPHIN & MANATEE frolicking by your dock as you sip morning coffee RIVERSIDE in the spa! This spacious home offers a second en suite bedroom, OFFICE, inside laundry, pool bath, & THREE WALK-IN CLOSETS. The dock includes two slips with lifts - one of which is a walk around. The kitchen is updated with newer cabinets and appliances. Catch TARPON and more right off your DOCK! All this is nestled on an OVER SIZED, cul-de-sac lot in SE Cape Coral's most CONVENIENT & friendly neighborhood. Owner is a licensed Florida Realtor. 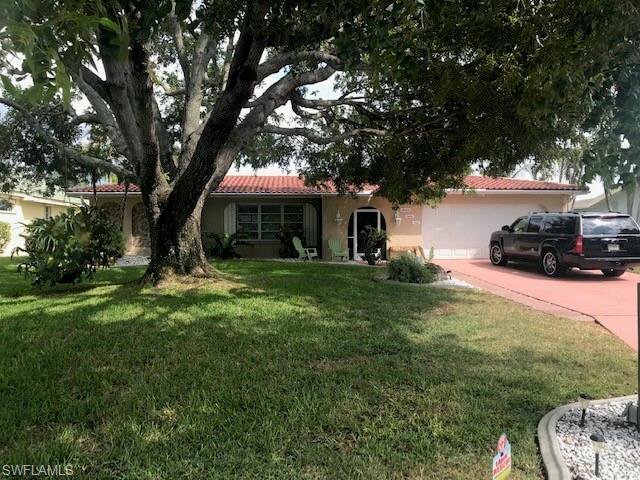 Listing courtesy of Florida Complete Realty.